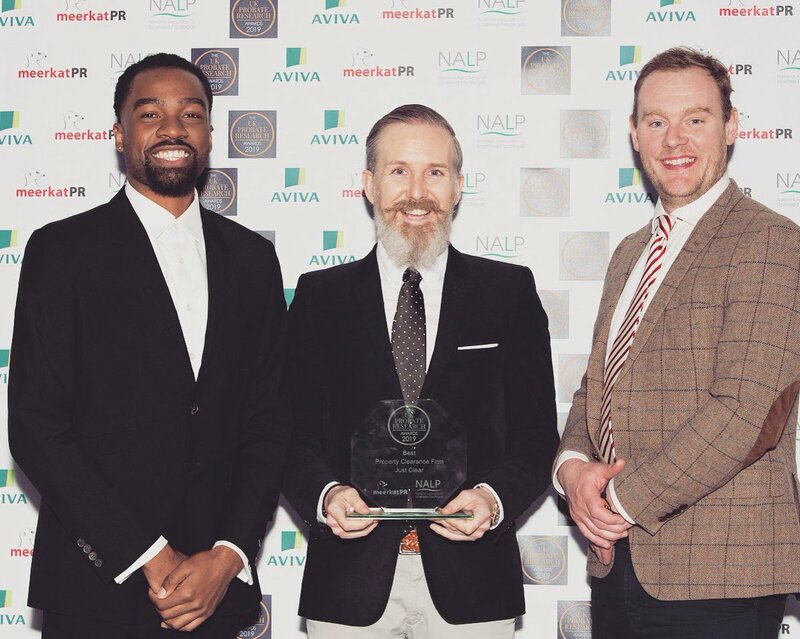 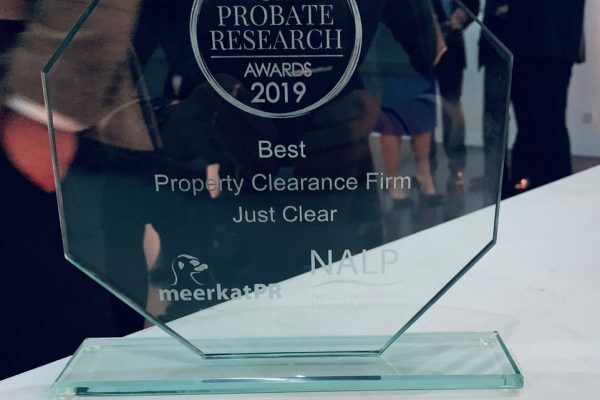 We are delighted to have been awarded the Best Property Clearance Firm award 2019 at the UK Probate Research Awards! 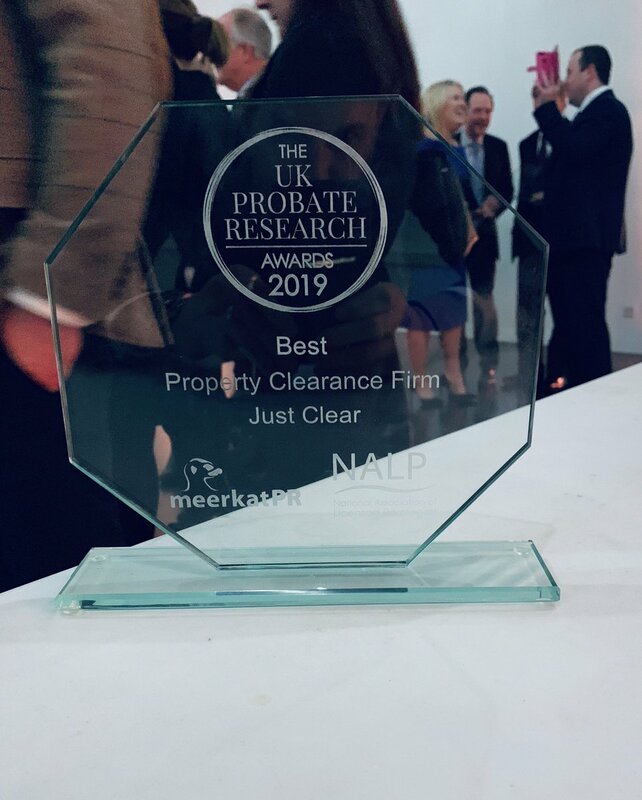 Thank you so much to all of our clients who we have been able to help out over the past year and the UK Probate Research Awards for acknowledging our work. 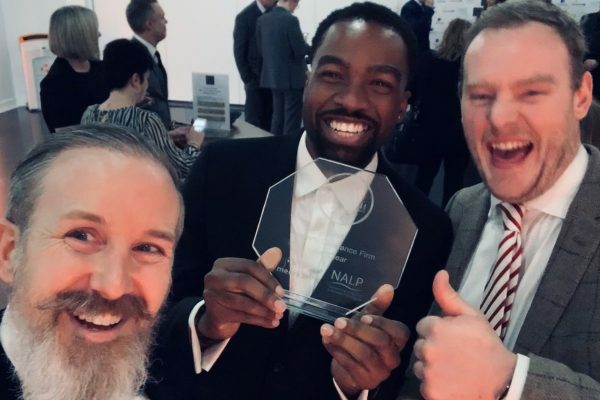 The UK Probate Research Awards were celebrated on 7 February 2019 at The Mermaid, Puddle Dock, London and awarded companies for their achievements and examples of excellence across forensic genealogy. 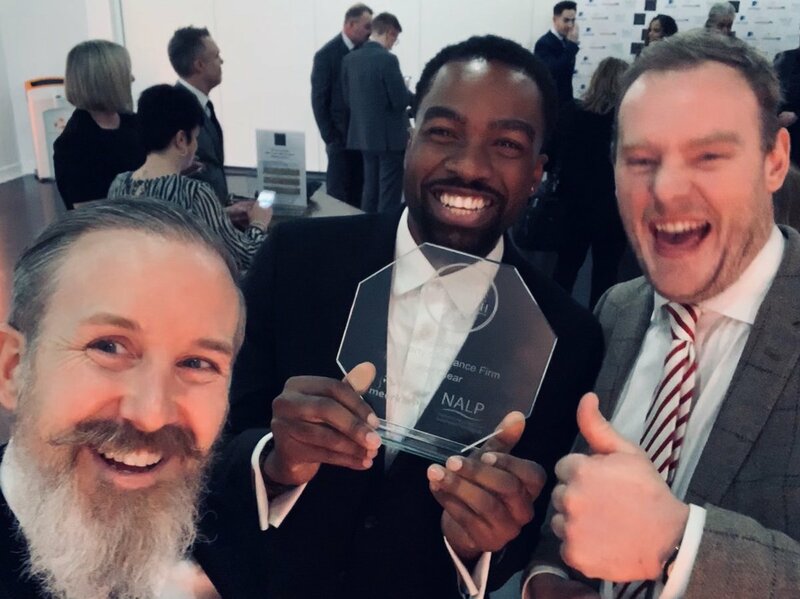 Age UK, the UK’s largest charity supporting older people, received the proceeds of a silent auction on a fantastic Awards night. 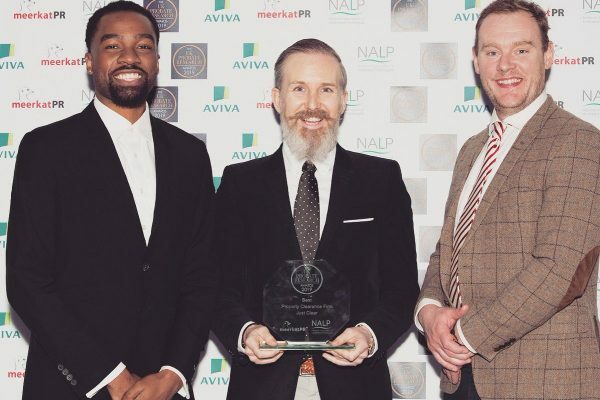 This is just the latest in a long list of awards that we at Just Clear are so proud to call our own!